It’s not often I have a cooking nightmare. Perhaps because I stick to familiar ingredients and styles of cooking. And tried and tested recipes. But this week things didn’t go quiet according to plan in the kitchen. That’s because while making the simplest of hummus recipes I let my mind wander a little too much. So what happened? Well I was drinking a glass of green tea from a tall glass tumbler. Alongside the green tea, on my kitchen bench, was the parsnip ‘stock’ I’d reserved to loosen the hummus. The stock was in exactly the same type of tall glass tumbler. You can see where this is going. By mistake, whilst blending the hummus, I poured in the green tea. After a mild panic I continued blending convinced it would still be delicious. My optimism paid off and the end result carried no trace of the green tea. Here I’m sharing the recipe, minus the unplanned green tea infusion. 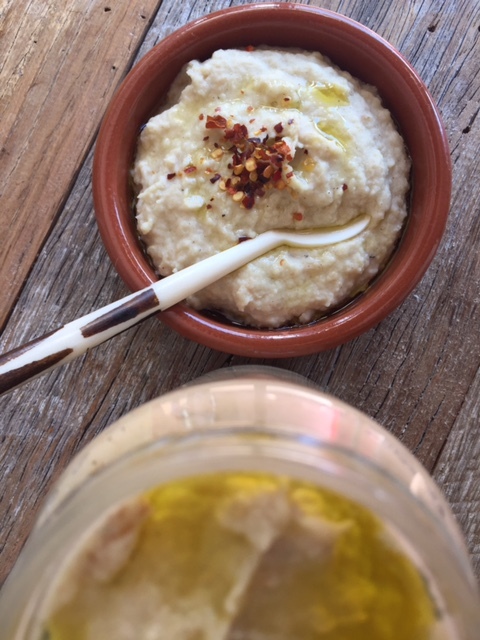 Here in Australia the parsnip season is now pretty much over until next year – this hummus was my farewell to parsnips until 2017. But I’m hoping the timing works well for my readers in the Northern Hemisphere who, with Winter fast approaching, should soon have a good supply of parsnips. Wash and chop the parsnips into cubes. I kept the skin on due to the high fibre content but you may prefer to peel off the skin. Add the parsnips to a saucepan of cold water – adding just enough water to cover the parsnips. Bring to a simmer, cover and cook until the parsnips are just soft enough to be blended (but not so soft they are mushy). Once cooled, add the remaining ingredients and blend into a hummus. 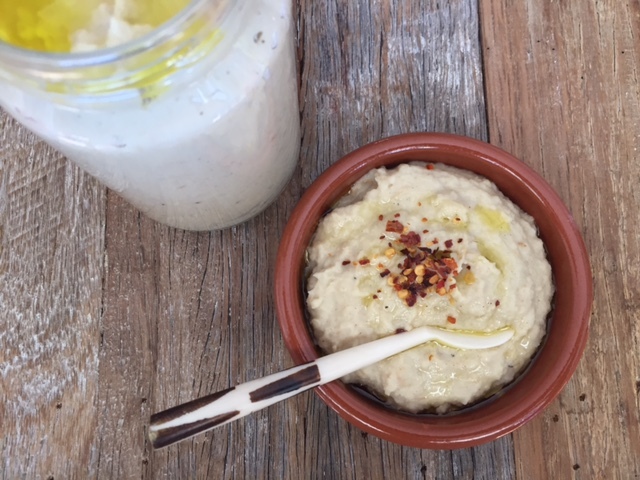 The success of this hummus is all about the creamy, light texture, so add a little more water, lemon juice and/or olive oil to achieve this. Season to taste and serve with another drizzle of olive oil and perhaps some chilli flakes. 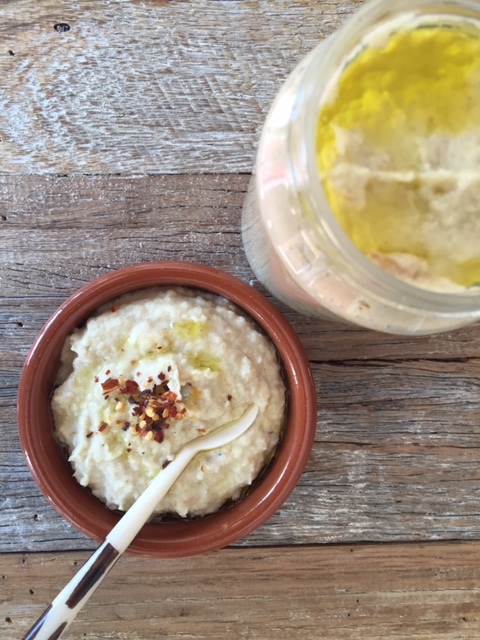 Tags: hummus, parsnip, recipe, vegan. Bookmark the permalink. Hummus with parsnip should be an amazing try! Thanks for this great share Laura. Thank you – yes the flavour of the parsnip really comes through. As with all hummus it’s best eaten right after being made! This recipe is going on my list of recipes to try…looks delicious! Thanks so much – it’s at its delicious bests just after being prepared! I think I did need to add some water to loosen my mixture..
I’ve never thought of a parsnip dip, but I love parsnips, so why not! 🙂 I goof things up all the time – I mean, really constantly. I have concentration issues lol – sometimes they’re great, sometimes I can save them and now and then, well, maybe not so much. Hi Mollie if you love parsnips, like me, then this dip will be a winner! Yum, what a neat way of changing up regular hummus. This looks so tasty. The parsnips are growing at the allotment and they taste wonderful, I will set some aside to make this!